WASHINGTON (CNN) - Florida Republican Sen. Marco Rubio, facing an outraged constituent audience of school shooting survivors Wednesday, signaled a willingness to vote in favor of limited gun control measures. Flanked by two Florida Democrats, Rubio was the lone Republican lawmaker to attend CNN's town hall a week after the deadly Parkland school shooting. President Donald Trump and Florida GOP Gov. Rick Scott declined to participate. Rubio said he would support legislation to prevent an 18-year-old from buying a rifle and that he is reconsidering his support for large-capacity magazines. He also broke with Trump on arming schoolteachers and vouched for a system where potentially unstable people could temporarily lose their access to firearms. "I absolutely believe that in this country if you are 18 years of age, you should not be able to buy a rifle, and I will support a law that takes that right away," Rubio said at CNN's town hall in Florida. Throughout the event, the crowd jeered Rubio, and visibly angry questioners sought answers after the shooting last week at a Florida high school that left 17 people dead. Rubio, a staunch supporter of Second Amendment rights, defended his opposition to major gun control legislation as well as his choice to continue accepting political contributions from the National Rifle Association. In one moment, he maintained his composure while explaining his refusal to back an assault weapons ban while face-to-face with the grieving father of a teenager killed in last week's shooting. But Rubio also sought to explain which gun control proposals he would be willing to support, indicating a softening in the wake of the latest high-profile slaying. At the town hall, Rubio faced Fred Guttenberg, whose daughter Jaime was murdered during the Marjory Stoneman Douglas High School shooting last week, and stood by his opposition to the assault weapons ban. Guttenberg asked Rubio to look him in the eye, to acknowledge the role guns played in his daughter's death and then promise that he would do something. The crowd booed Rubio as he began to reply, "The problems that we're facing here today cannot be solved by gun laws alone." Guttenberg pressed, asking, "Were guns the factor in the hunting of our kids?" Rubio said, "Of course they were," and said he would support a law that takes away the ability of an 18-year-old to buy a rifle. Earlier Wednesday, Arizona Republican Sen. Jeff Flake came out in favor of a bill to raise the age to buy AR-15-style rifles. Rubio said he also supported the banning of bump fire stocks, which allow semi-automatic weapons to fire like automatic weapons, and a bolstered background check system. But as he continued, Rubio said he believed Guttenberg was asking about the assault weapons ban and stood by his opposition to it. 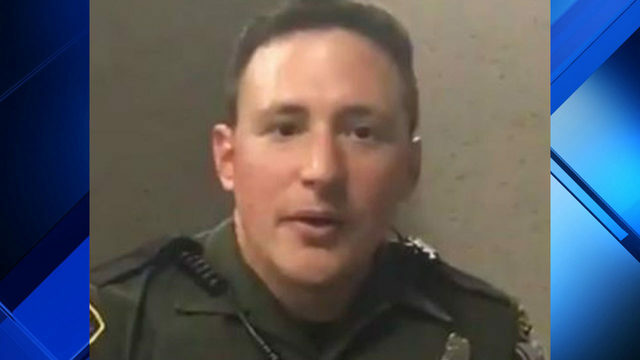 "If I believed that that law would have prevented this from happening I would support it, but I want to explain to you why it would not," Rubio said. Guttenberg pressed again, "Senator Rubio. My daughter, running down the hallway at Marjory Stoneman Douglas, was shot in the back with an assault weapon -- the weapon of choice. OK? It is too easy to get. It is a weapon of war. The fact that you can't stand with everybody in this building and say that, I'm sorry." Rubio said he believed Guttenberg was telling the truth and that someone like the alleged killer should not have had access to any firearm, but that the assault weapons ban was too easily circumventable and poorly crafted. "I believe that someone like this individual and anyone like him shouldn't have any gun," Rubio said. "Not this gun, any gun, but I want to explain to you for a moment the problem with the law that they call the assault weapons ban." "The notion that my kids are going to school with teachers that are armed with a weapon is not something that, quite frankly, I'm comfortable with," Rubio said. Asked about what progress might be made in the wake of the shooting -- the day after the Florida Legislature refused to debate a ban on some semiautomatic weapons and large-capacity magazines, Rubio said he backed the state implementing a gun violence restraining order system. He said a system where worried family members could move to have a person temporarily lose their gun rights would be a step he would support to prevent future massacres, and that he hopes Florida will pass a system into law. Chris Grady, a student who said he had recently enlisted in the military, asked Rubio if the senator would support restrictions on "large-capacity magazines." Rubio acknowledged that he had not in the past supported looking at magazine clip size, but was "reconsidering that position." "I'll tell you why," Rubio said. "Because while it may not prevent an attack, it may save lives in an attack." Rubio added that he did not want to get ahead of law enforcement in speaking about details of last week's school shooting, but that "three or four people might be alive today." Rubio said that while he did not yet have a firm position on what should change, he was open. 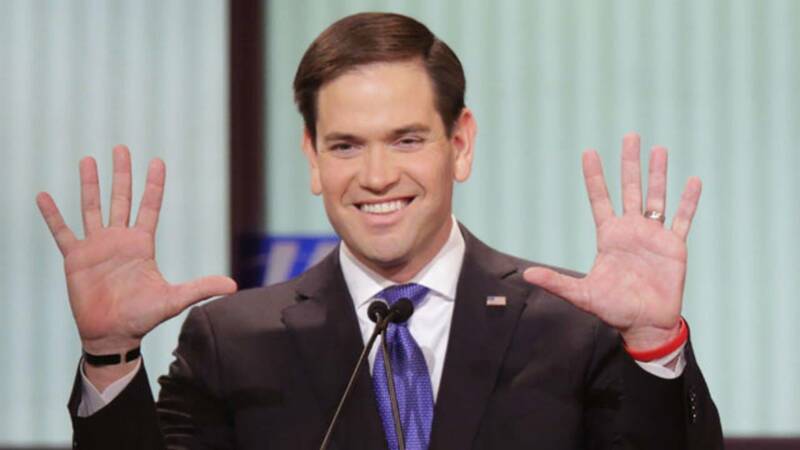 "I don't know what the right number is," Rubio said. "We'll have to get into that debate. But that is something that I believe we can reach a compromise in this country and that I'm willing to reconsider." Following the town hall, Sen. Bob Menendez noted Rubio's stated openness to banning large-capacity magazines -- and invited his Republican colleague to sign on to cosponsoring a bill to do just that. "Sen. @marcorubio, thank you for reconsidering your position on large capacity magazines at the CNN Town Hall - I've got a bill waiting for you to co-sponsor --->" the New Jersey Democrat tweeted. CORRECTION: An earlier version of this story misspelled Jaime Guttenberg's first name.